C1660. CHARLES MUNCH Cond. RDF S.O. 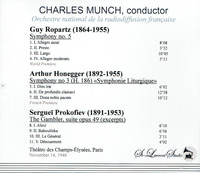 : Symphony #5 in G - World Premiere) (Guy Ropartz); Symphonie Liturgique, French Premiere (Honegger); The Gambler - Suite (Prokofiev). (Canada) St Laurent Studio YSL T-616, Live Performance, 14 Nov., 1946, Theatre des Champs-Elysees, UNESCO concert. Transfers by Yves St Laurent. “The Fifth Symphony by Ropartz was written amid the Nazi Occupation during the composer’s retirement to his native Breton village of Lanloup. Its first and second movements comprise a lively Allegro assai which launches with a real crash and an exuberant Presto romp. We then get a Ropartz hallmark Largo - a piece of really touching writing which, while holding onto its dignity, has a melancholy elegiac loveliness. This, the longest movement is carried by the strings but there are some notable noble statements from solo horn and woodwind. A brief Allegro moderato has the clean euphoric classical lines of Moeran’s Sinfonietta but with a Franckian-Breton accent. 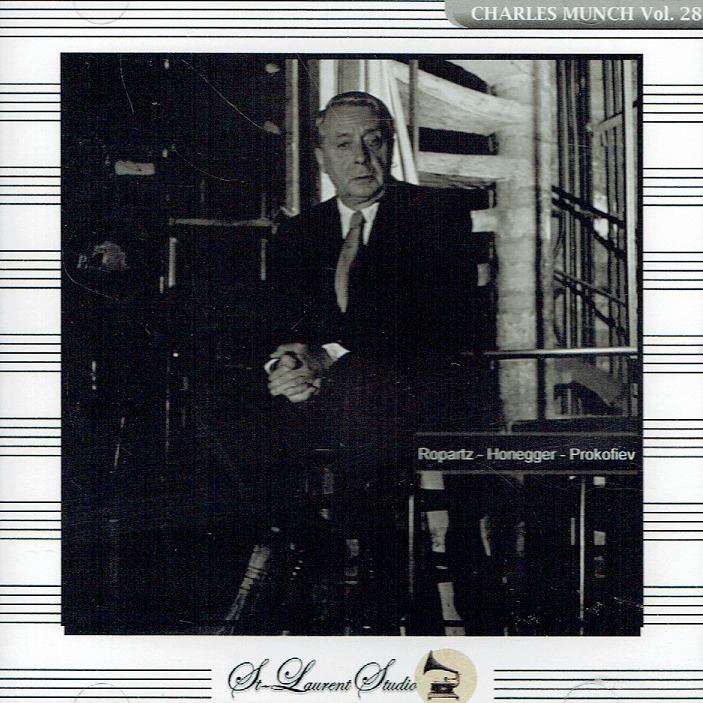 The Fifth Symphony was given its first performance at a UNESCO concert on 14 November 1946 alongside Honegger’s Third Symphony. 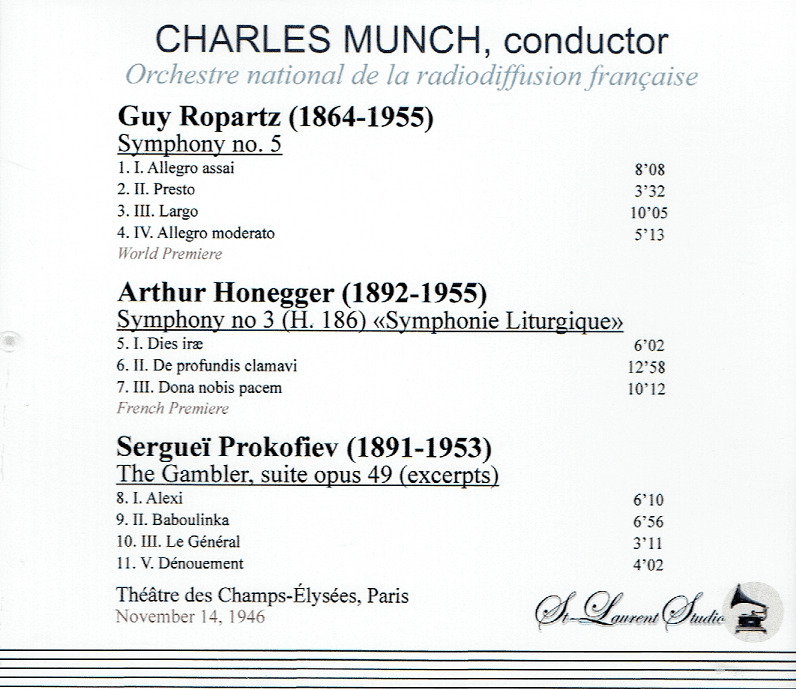 The conductor was Charles Munch who has also presided over a festival of Ropartz works in Occupied France in 1943."